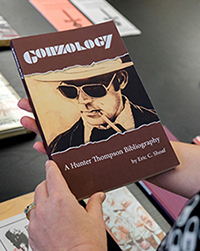 Eric C. Shoaf (above), who donated the collection, is the author of Gonzology (below), an extensive bibliography of Thompson’s work. The founder of “Gonzo” journalism, an intensely personal style of writing that often includes the reporter as part of the story, Thompson is perhaps best known for his 1971 book, Fear and Loathing in Las Vegas, as well as his cultural and political contributions to Rolling Stone magazine, which turned him into a counterculture icon. 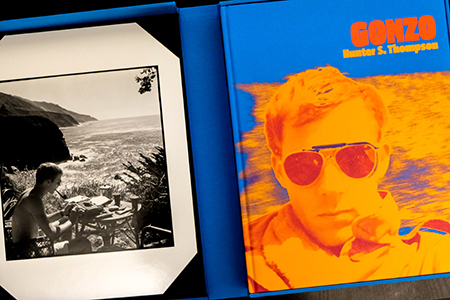 The campus received the gift from Eric C. Shoaf, who is the author of Gonzology, an extensive bibliography of Thompson’s work. Shoaf has spent more than 30 years acquiring the materials in the collection, which after processing will be made available to scholars and researchers through the University Library. 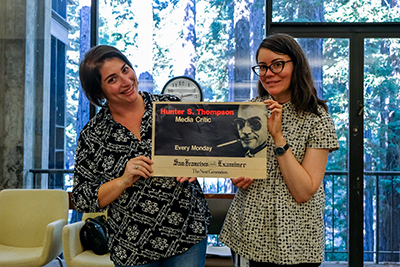 “The Eric C. Shoaf Collection of Hunter S. Thompson documents decades of work by this Gonzo journalist and author who peeled back the layers of post-counterculture America through his writings and artistic collaborations,” noted Teresa Mora, Head of Special Collections & Archives at UC Santa Cruz. 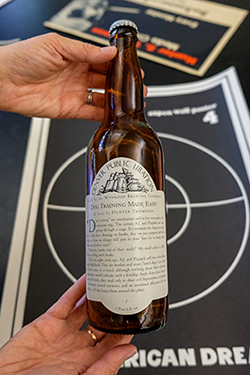 Mora said that in addition to first editions, translations, and pirated copies of Thompson's books, the collection also includes rare printed materials, ranging from early broadside poster publications and collective artists' magazines to fine press editions, and even a beer bottle containing a never before published short story printed on the label. “This collection reveals the scope of Thompson's long engagement with many forms of print and art throughout his life, and opens a door for students and researchers interested in considering Thompson's place in 20th-century writing and literary presentation,” she added. Shoaf explained why he decided to donate the collection to UC Santa Cruz, despite the fact that he had no previous connection to the campus. Born and raised in North Carolina, Shoaf received a B.A. degree from Duke University, and holds Masters degrees from both the University of Rhode Island and North Carolina Central University. 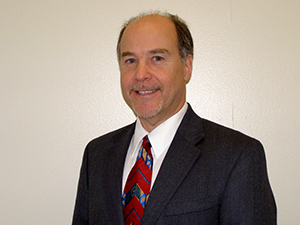 A lifelong educator, he has worked in libraries and information services at a variety of academic institutions including the University of Texas at San Antonio, Brown University, Duke University, Clemson University, and he currently serves as Dean of the Library at Queens University of Charlotte. 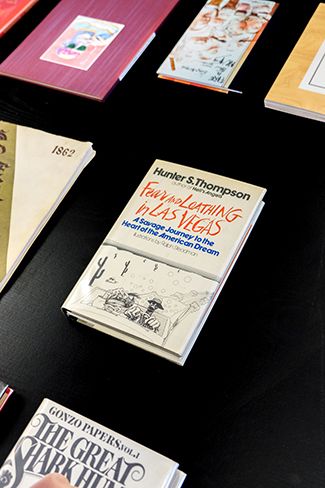 Shoaf said he first discovered Hunter Thompson right after college. After reading the book Hell’s Angels, he “jumped right in” and began to read everything he could find by the author. In addition to bibliographic work on Hunter Thompson, Shoaf has published three books on William S. Burroughs. He is also widely published in popular music and guitar-related magazines. His next publication will be a bibliography on the works of Tom Wolfe.